The Child and Adolescent Mood and Anxiety Treatment (CAMAT) program in the Department of Psychology at the University of Miami is a clinical research program dedicated to developing and testing state-of-the-art psychotherapy approaches for anxiety and depression in children and adolescents. Some of our programs are funded by research grants that allow us to provide diagnostic assessments and evidence-based treatment to children and adolescents at low- to no-cost. 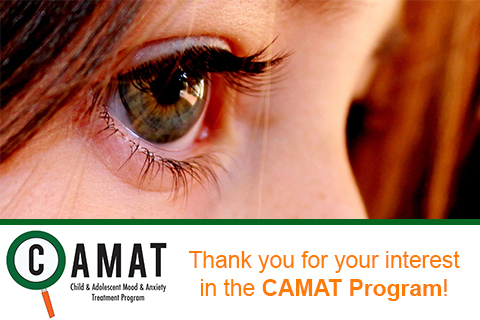 CAMAT also provides training to students and therapists learning to how to apply our treatments.